Photoshop can be an intimidating program, but the key is to learn the basics and get familiar with the interface. The following are some of the lessons that I have created to help learn this program. There are tutorials all over the web, of course; this is intended to be a very simple, step-by-step guide to some of the most common tasks, to help get newbies more comfortable with this program. Photoshop used to be a software package you could buy and install. However, Adobe has moved to a subscription model, meaning you get charged a monthly fee for access to it. This has caused some unhappiness with professionals who use Photoshop on a daily basis, and there is no denying that this new model definitely benefits Adobe since it gives them a recurring revenue stream. It also makes it harder to pirate copies of Adobe Photoshop, since the program is so expensive, many people using it were using pirated copies. The upside to this subscription model is that it makes it much more affordable for people to use this program and to get regular updates. No matter which version you are using, there are not many differences now between versions. The lessons that follow should be relevent to you if you are using a recent version of Photoshop. The key thing to understand about Photoshop is that no one, I repeat no one, knows or uses everything that it does. People use Photoshop specifically for what they want to accomplish. When they need to accomplish something different, they learn how to do it, and add that to their knowledge base. So, the key to learning Photoshop is to start with some simple tasks, and as you get comfortable using it, you will find other things you want to achieve and you will learn those as well. 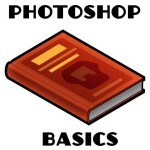 Below are a few common tasks in Photoshop, with screenshots to help you get used to this program. Do not be intimidated, Photoshop is just a program, and the way to learn it is to spend time with it. 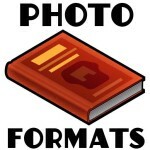 Picture Formats – What do they mean? When you take a picture on a digital camera, you can store your image on your memory card in a couple different formats. It is important to know what these formats are and how they are used. JPEGs - This is a compression format. What that means is that a percentage of pixels (or digital information in other words) has been taken OUT of the photograph, in such a way that you can’t really see the loss of this digital information. This makes the image resolution smaller, which makes the image load much faster on websites, blogs, and social media platforms like Facebook and Instagram. TIFF - this is a format in which none of the information has been removed from the digital image. 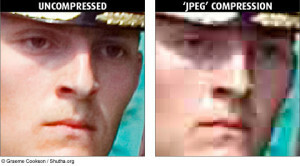 It is at full resolution, and all of the digital information that makes up your photograph remains. TIFF images can be viewed on computers, and laptops. These files tend to be much larger, and some online platforms do not recognize this file format because these files tend to be so large. However, it is very good practice to save a TIFF version of your photograph on your computer so you always have access to the uncompressed digital image. Camera RAW – if you own a digital single lens reflex camera (SLR, the kind of camera where you can change lenses), chances are you have an option to shoot photographs in Camera RAW. If you do, and you have access to Photoshop, and you are serious about taking good pictures, then you should consider shooting your photographs in Camera RAW. Some cameras allow you to take pictures at the same time in both RAW and jpeg, so you get two versions of each picture you take when you press the button. Camera RAW is a format that saves ALL of the data when you take a picture, even more than a TIFF file. The only way to view camera RAW images is through Photoshop. When you open an image in this format, you get access to an enormous amount of control over how you can adjust, enhance, and modify your image, even more so than in Photoshop. This is absolutely the best way to make your photos look their best. Because all of the data and information of your image is preserved, this is a very large file format, and you will need a large memory card in your camera, but the upside is that you have so much more options to enhance, rescue or improve your images. With Camera RAW, you can often save a picture that has some serious shortcomings, such as poor lighting, or a color cast that is unflattering. Once you are finished enhancing your image in Adobe Camera Raw, you can save the image as a TIFF file, a JPEG, or both (which is the best way since you have both a compressed and an uncompressed version of your photograph). So you have installed Photoshop on your computer, and you’ve taken some great images with your camera, and now you want to share them on Facebook, your website, Instagram or your blog. Do not just immediately upload these images. They have to be optimized first. Why? Because forcing someone to open a huge digital photograph uses a lot more of their data, if there are looking at it on a smartphone, and that’s not fair to them. Plus, the images will load very slowly, and people will not wait for them to finish loading. They will hit the back button and move on. Your image must be reduced in resolution so it will load faster online. When I take pictures, I have three versions of every photograph that I choose to keep: an Adobe Camera RAW version, a TIFF file, and a jpeg version for fast loading online.